Motorcycle Parts: How to Choose a Generator or Inverter? How to Choose a Generator or Inverter? 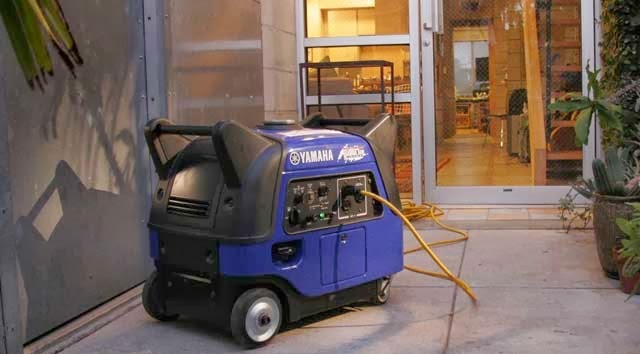 Power up at home with a Yamaha Inverter generator. 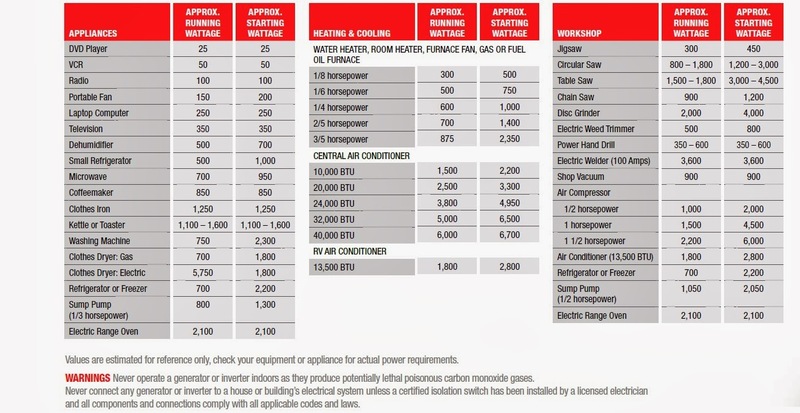 Choose a Generator or Inverter by the application chart below. Our generators offer a 3-year warranty and ultra quiet operation. Inverter generators provide super "clean" power; as clean or cleaner than from a household receptacle. Clean power makes our generators suitable for all your home electronics and rechargeables. Suitcase style handles and light weight and roll away wheels make for easy handling. 1. Identify the wattage requirements. 2. Total the required watts of all items you expect to operate concurrently, add a 10% correction factor. 3. The total watts will determine the size of yamaha generator.